Regular readers of my blog will probably know that I suffer from a condition called Ehlers-Danlos Syndrome. One of the symptoms that I really struggle with is widespread pain. Unfortunately, I’m yet to find a medication that works for me (that’s a whole other story!) so recently I’ve become a lot more interested in complementary and natural approaches. I go for regular massages, reflexology, tried acupuncture, wheat bags I can pop in the microwave and am currently trying out some Tai Chi with the physio department at my local hospital. None of these approaches ‘cure’ the pain, and it’s unlikely anything ever will, but my aim is to find things that help me manage it and make it a little more bearable. A little while ago, I asked on Facebook for how some of my friends deal with their pain caused by chronic illness. 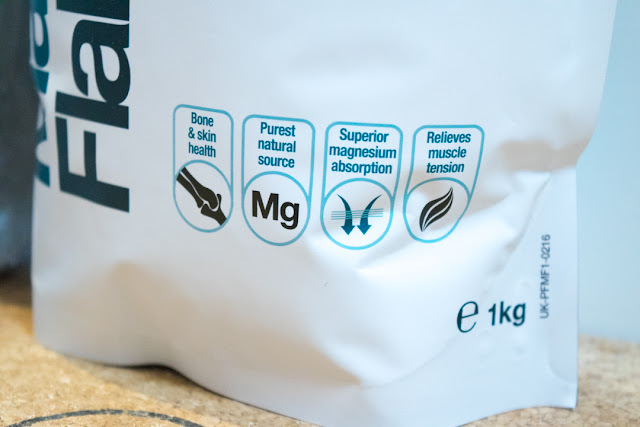 I received a variety of suggestions, with a few people recommending magnesium in different forms. At the same time, the professor I see for my digestive problems recommended I start taking a magnesium and zinc supplement, so it all seemed like a good thing to try. 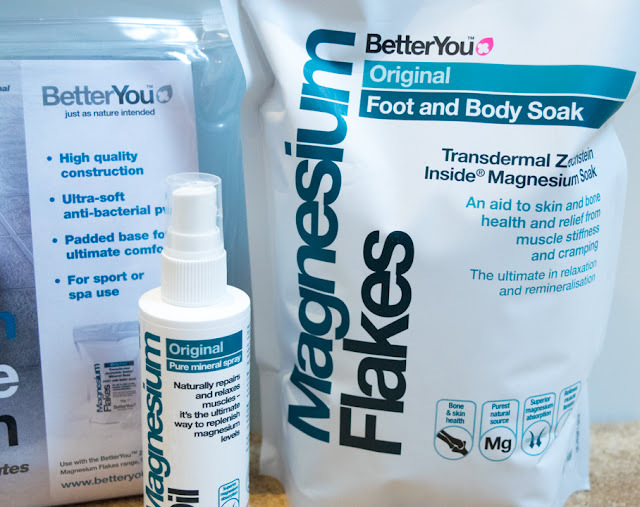 I went along to Holland and Barrett with my Mum to see which products they offered, and as well as picking up some supplements, I came across a range by Better You. A friend of mine had recommended their Magnesium Oil Spray, which you can spray on your body and rub in, so I decided to pick up the original version (they also do a recovery spray, joint spray, sensitive spray and goodnight spray). Magnesium is an essential element for a healthy body and is a fantastic natural relaxant, which helps rid the body of excess tension. I know that stress and tension make my pain worse, so I thought this might be a good product to try out. 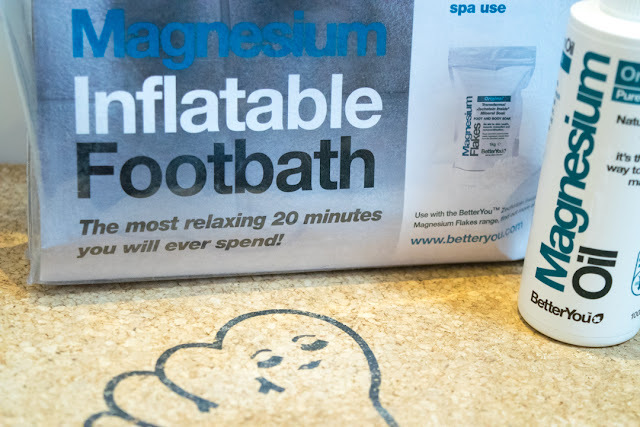 According to Better You, a body with the right amount of magnesium will be more supple, will resist fatigue for longer (which would be seriously amazing!) and will better repair itself. Although I was starting the magnesium and zinc supplements, I was conscious of the fact I don’t absorb nutrients particularly well because of my digestive problems. The great thing about this spray is that the magnesium is absorbed through the skin. 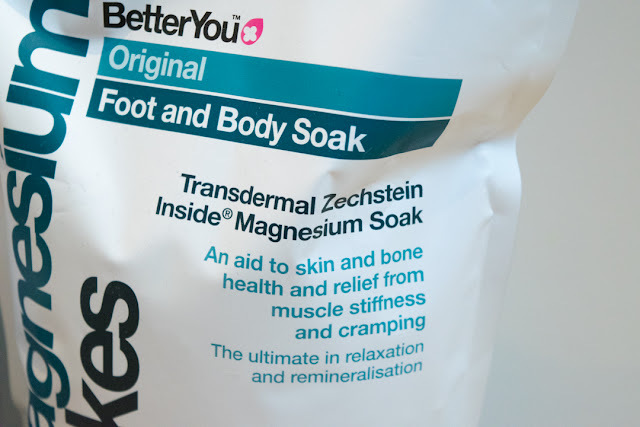 Studies by Cardiff University and Watkins & Josling have shown how well magnesium is absorbed through the skin, feeding every cell. 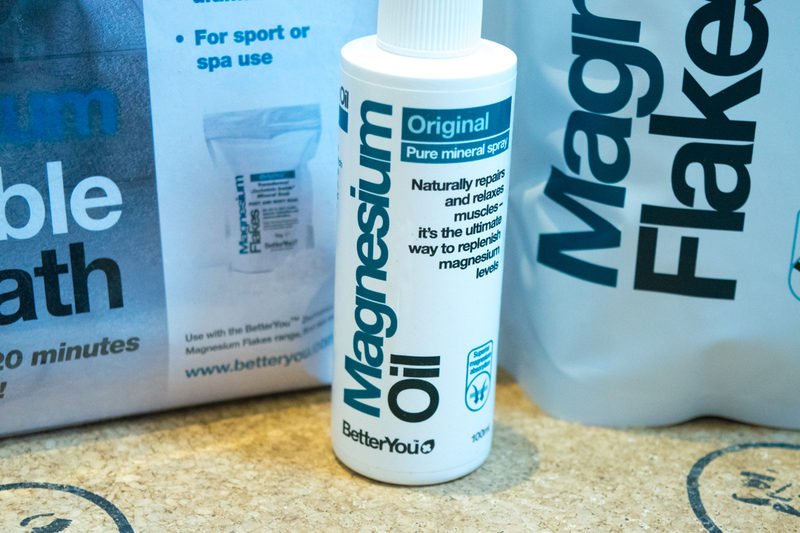 The oil has been found to elevate cellular magnesium levels up to five times faster than traditional tablets, and after hearing this; I knew this was a product I needed to try. After a few weeks of trying the oil, Better You very kindly offered to send me some of their Magnesium Flakes*. I’d been thinking of trying Epsom Bath Salts/Magnesium Flakes for quite a while, after hearing so many good reports from friends, so I jumped at the chance! 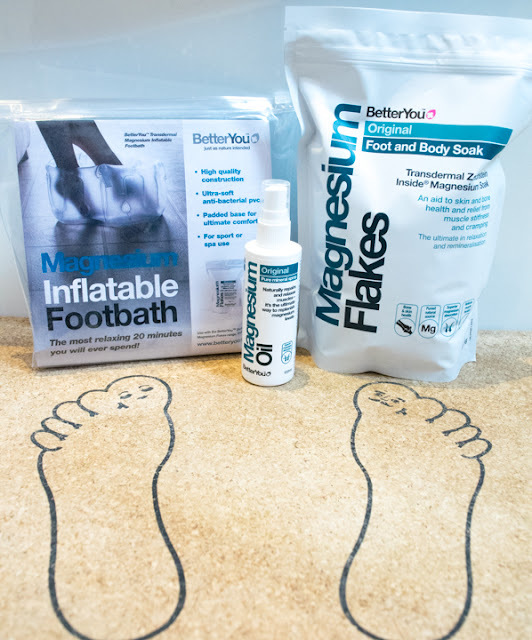 Dissolve 150g in warm water, immerse your feet and relax for 20 minutes or longer if desired. Dissolve 250g in a warm bath and relax for 20 minutes or longer to gain full body relaxation. They suggest that two to three magnesium rich baths should be taken a week, but this frequency can be increased if required. The flakes are suitable for any age, during pregnancy and breastfeeding, but the dose for children should be halved. I’ve really been enjoying trying out the oil spray and the flakes, and although they haven’t got rid of my pain, they do often take the edge off it, making it a little easier to cope with. My particular favourite is the flakes, mainly because I love relaxing in a bath and I can still use my favourite Lush products alongside them. 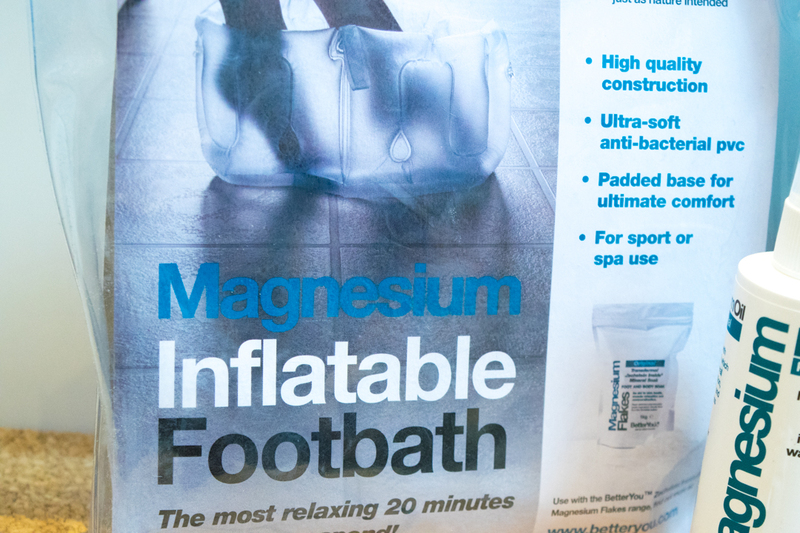 I’m yet to try the footbath, but can imagine it being equally relaxing, especially if you’ve been on your feet all day. I must admit I was sceptical to begin with, but I’m really glad I’ve given them a try. They may not work for everyone – some days I’ve tried them and they haven’t made a difference, while other days they have – but I’ve got some friends who absolutely swear by them. Even if you don’t suffer from chronic pain, they can still help to improve your overall wellbeing. So I think it’s one of those things that have got to be worth a try, and you might find your new favourite products! 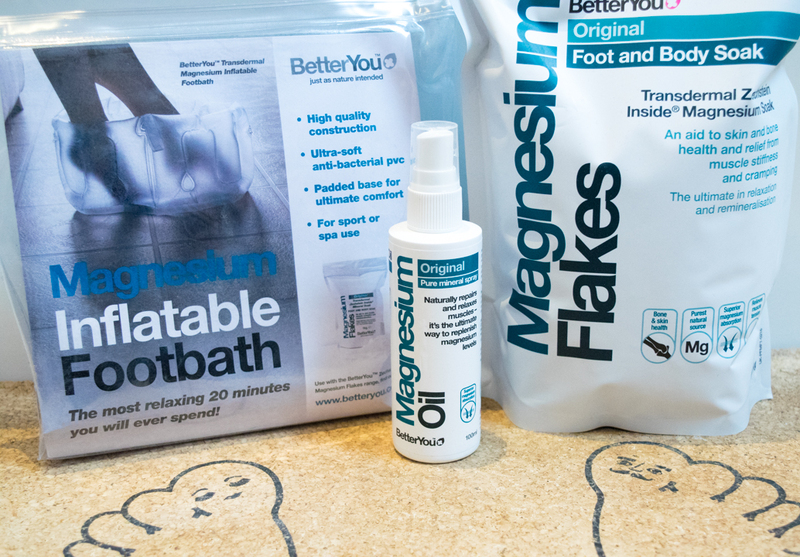 Do you use magnesium products at all? Or is there anything else you would recommend for managing chronic pain? *The Magnesium Flakes were sent to me by Better You to try out. All opinions in this post are my own and I only review things that fit with my blog/lifestyle.